Quota by Henry Ford: Whether you think you can or can’t either way you are right. The law of attraction is the name given to the belief that “like attracts like” and that by focusing on positive or negative thoughts, one can bring about positive or negative results. This belief is based upon the idea that people and their thoughts are both made from pure energy, and the belief that like energy attracts like energy. The Law of Attraction has been popularized in recent years by books and films such as “The Secret”. Leadership is an important subject when it comes to the law of attraction. 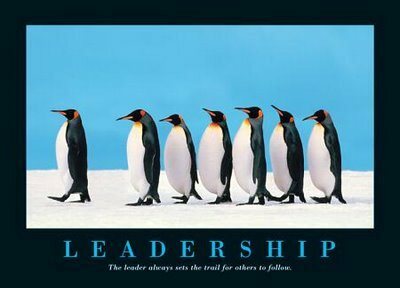 Why leadership? What attracts us to some leaders, and makes us avoid others? And what are you going to do differently in the future? Everyone is a leader to someone. Leadership is in each one of us. The amount that you utilize this gift to be a leader will all depend on you. Utilizing the principles of the Law of Attraction in a leadership role consciously will attract more results and success. These principles can carry on from being a leader in your business to being a leader at home. You create you reality and therefore you must take responsibility for your reality and actions. The sooner you get you control the output by your thoughts, feelings, words and actions the sooner you can create the life and business you want. Lead by example and you will have a great team by your side. This is one of the principles many have a hard time dealing with. Do no try to do everything on your own. Ask for feedback, ideas and work together with your team to meet your goals. You may be a leader but you are also a partner. Cooperation and collaboration are necessary. Be consciously aware of your energy and choose to make it a positive one and spread positive vibes. The higher your vibrations the more connected and grounded you are, the more inspired you are and because of this you will see greater success. Pay attention to your energy. If you are in a bad mood, your energy can and will transfer to those around you. When you are focused on abundance, taking action and the possibilities people will be drawn to you. If you are leading by example and utilizing the Law of Attraction, than having an awesome personality will be easy for you to do. Do not be judgmental, rather be open-minded and concentrate on solutions. Put yourself in their shoes. Better yet ask them what you can do for them to really understand where they are coming from and how you can better assist them. Create a plan, a vision. Have a plan for your advertising, marketing and more. Share these plans with those working with you and get their feedback and mastermind on improving the plans. By having a set direction that is agreed on will promote teamwork, responsibility, confidence and action. Give more value than what is asked. You will be setting the Law in motion to provide you with more than what you expect and be setting a great example. Whatever you do, do it to the max. Go beyond what people expect of you. When others see you are passionate about the decisions you are making it will help for those decisions to be embraced and understood. When you are passionate and inspired about your choices it comes through in your presentation and implementation. Keeping your self-talk positive and focused will make the rest of your day much brighter and easier. Do not let doubt, lack or other negative thoughts enter into your self-talk. When you perceive something to be negative, look for the positive or create a positive. Being resistant is a surefire way to get the opposite of what you want. Be open to utilizing these principles in your life so you can create the success and happiness you deserve. Have an open-mind to the Law of Attraction and what it can do for you as Leader and in your life. Organizations are demanding ever-higher performance from their workforces. People are trying to comply, but the usual method—putting in longer hours—has backfired. They’re getting exhausted, disengaged, and sick. And they’re defecting to healthier job environments. Longer days at the office don’t work because time is a limited resource. But personal energy is renewable, say Schwartz and McCarthy. By fostering deceptively simple rituals that help employees regularly replenish their energy, organizations build workers’ physical, emotional, and mental resilience. These rituals include taking brief breaks at specific intervals, expressing appreciation to others, reducing interruptions, and spending more time on activities people do best and enjoy most. Help your employees systematically rejuvenate their personal energy, and the benefits go straight to your bottom line. Take Wachovia Bank: Participants in an energy renewal program produced 13 percentage points greater year-over-year in revenues from loans than a control group did. And they exceeded the control group’s gains in revenues from deposits by 20 percentage points. Take brief but regular breaks, away from your desk, at 90- to 120-minute intervals throughout the day. Defuse negative emotions—irritability, impatience, anxiety, insecurity—through deep abdominal breathing. Reduce interruptions by performing highconcentration tasks away from phones and e-mail. Identify your “sweet spot” activities—those that give you feelings of effectiveness, effortless absorption, and fulfillment. Find ways to do more of these. One executive who hated doing sales reports delegated them to someone who loved that activity. Build “renewal rooms” where people can go to relax and refuel. The goal of argumentative writing is to persuade your audience that your ideas are valid, or more valid than someone else’s. The Greek philosopher Aristotle divided the means of persuasion, appeals, into three categories–Ethos, Pathos, Logos. Logos, ethos, and pathos are important components of all writing, whether we are aware of them or not. By learning to recognize logos, ethos, and pathos in the writing of others and in our own, we can create texts that appeal to readers on many different levels. Considered together, these appeals form what later rhetoricians have called the rhetorical triangle. Appeals to reason. Logos can alsobe thought of as the text of the argument, as well as how well a writer has argued his/her point. Appeals to the writer’s character. Ethos can also be thought of as the role of the writer in the argument, and how credible his/her argument is. Appeals to the emotions and the sympathetic imagination, as well as to beliefs and values. Pathos can also be thought of as the role of the audience in the argument. The rhetorical triangle is typically represented by an equilateral triangle, suggesting that logos, ethos, and pathos should be balanced within a text. However, which aspect(s) of the rhetorical triangle you favor in your writing depends on both the audience and the purpose of that writing. Yet, if you are in doubt, seek a balance among all three elements. Questions to help you recognize and utilize logos, ethos, and pathos The following questions can be used intwo ways, both to think about how youare using logos, ethos, and pathos in your writing, and also to assess how other writersuse them in their writing. Is the thesis clear and specific? (for help with thesis statements, see the Revising Thesis Statements handout). Is the thesis supported by strong reasons and credible evidence? Is the argument logical and arranged in a well-reasoned order? What are the writer’s qualifications? How has the writer connected him/herself to the topic being discussed? Does the writer demonstrate respect for multiple viewpoints by using sources in the text? Are sources credible? Are sources documented appropriately? Does the writer use a tone that is suitable for the audience/purpose? Is the diction (word choice) used appropriate for the audience/purpose? Is the document presented in a polished and professional manner? Are vivid examples, details and images used to engage the reader’s emotions and imagination? Does the writer appeal to the values and beliefs of the reader by using examples readers can relate to or care about? While the above questions can help you identify or utilize logos, ethos, and pathos in writing, it is important to remember that sometimes a particular aspect of a text will represent more than one of these appeals. For example, using credible sources could be considered both logos and ethos, as the sources help support the logic or reasoning of the text, and they also help portray the writer as thoughtful and engaged with the topic. This overlap reminds us how these appeals work together to create effective writing. This week I upgraded my DISC certification at Thomas International (http://www.thomasinternational.net/en-us/Home.aspx). From now on, I’m only doing online assessments! 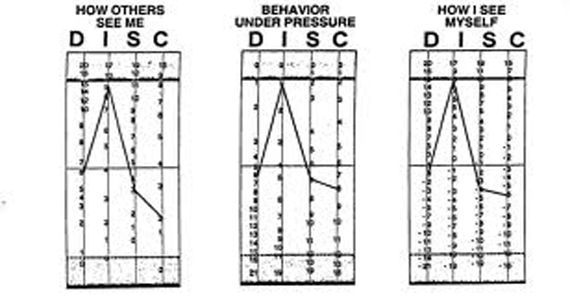 DISC assessment is a behaviour assessment tool based on the DISC theory of psychologist William Marston. Marston’s theory centers around four different personality traits: Dominance, Influence, Stability and Compliance. The DISC assessment can be used for a variety of real-life situations. Many companies use it as a way to screen potential employees, with the thought that a certain personality type would be better or worse in certain jobs or positions. Another field in which DISC assessment can be used is leadership. There are different leadership methods and styles that coincide with each personality type, which could help leaders be more effective. DISC has also been used to help determine a course of action when dealing with problems as a leadership team—that is, taking the various aspects of each type into account when solving problems or assigning jobs. One area of using DISC is also when coaching other team members or employees in the best way. These four dimensions can be grouped in a grid with “D” and “I” sharing the top row and representing extroverted aspects of the personality, and “C” and “S” below representing introverted aspects. “D” and “C” then share the left column and represent task-focused aspects, and “I” and “S” share the right column and represent social aspects. Dominance: People who score high in the intensity of the “D” styles factor are very active in dealing with problems and challenges, while low “D” scores are people who want to do more research before committing to a decision. High “D” people are described as demanding, forceful, egocentric, strong willed, driving, determined, ambitious, aggressive, and pioneering. Low D scores describe those who are conservative, low keyed, cooperative, calculating, undemanding, cautious, mild, agreeable, modest and peaceful. Influence: People with high “I” scores influence others through talking and activity and tend to be emotional. They are described as convincing, magnetic, political, enthusiastic, persuasive, warm, demonstrative, trusting, and optimistic. Those with low “I” scores influence more by data and facts, and not with feelings. They are described as reflective, factual, calculating, skeptical, logical, suspicious, matter of fact, pessimistic, and critical. Stabilty: People with high “S” styles scores want a steady pace, security, and do not like sudden change. High “S” individuals are calm, relaxed, patient, possessive, predictable, deliberate, stable, consistent, and tend to be unemotional and poker faced. Low “S” intensity scores are those who like change and variety. People with low “S” scores are described as restless, demonstrative, impatient, eager, or even impulsive. Compliance: People with high “C” styles adhere to rules, regulations, and structure. They like to do quality work and do it right the first time. High “C” people are careful, cautious, exacting, neat, systematic, diplomatic, accurate, and tactful. Those with low “C” scores challenge the rules and want independence and are described as self-willed, stubborn, opinionated, unsystematic, arbitrary, and unconcerned with details. This is the scientific study of the strengths and virtues that enable individuals and communities to thrive. 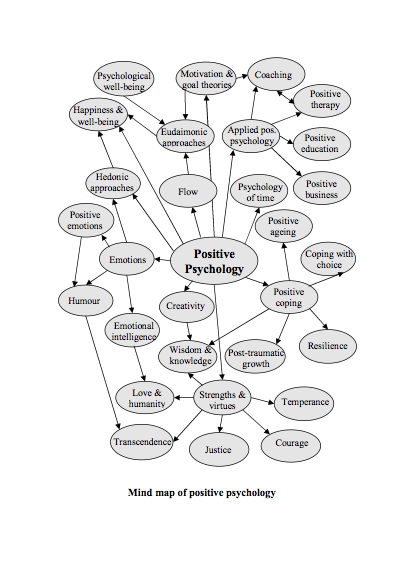 The Positive Psychology Center promotes research, training, education, and the dissemination of Positive Psychology. This field is founded on the belief that people want to lead meaningful and fulfilling lives, to cultivate what is best within themselves, and to enhance their experiences of love, work, and play. 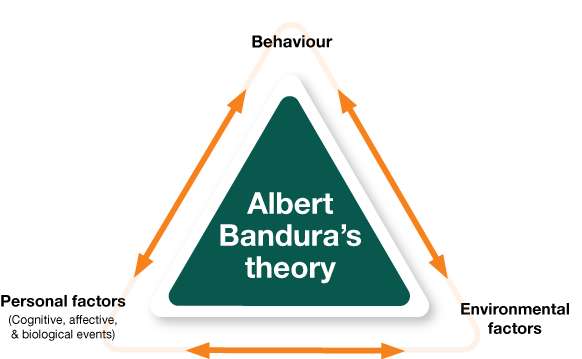 Bandura’s Social Learning Theory posits that people learn from one another, via observation, imitation, and modeling. The theory has often been called a bridge between behaviorist and cognitive learning theories because it encompasses attention, memory, and motivation. People learn through observing others’ behavior, attitudes, and outcomes of those behaviors. “Most human behavior is learned observationally through modeling: from observing others, one forms an idea of how new behaviors are performed, and on later occasions this coded information serves as a guide for action.” (Bandura). Social learning theory explains human behavior in terms of continuous reciprocal interaction between cognitive, behavioral, and environmental influences. Attention — various factors increase or decrease the amount of attention paid. Includes distinctiveness, affective valence, prevalence, complexity, functional value. One’s characteristics (e.g. sensory capacities, arousal level, perceptual set, past reinforcement) affect attention. Reproduction — reproducing the image. Including physical capabilities, and self-observation of reproduction. Social learning theory has sometimes been called a bridge between behaviorist and cognitive learning theories because it encompasses attention, memory, and motivation. The theory is related to Vygotsky’s Social Development Theory and Lave’s Situated Learning, which also emphasize the importance of social learning. Apparent in many aspects of human interaction is the notion of “survival of the fittest.” In business, government, science, and even personal relationships, the competition for that which is scarce drives humans to find an “edge” over their adversaries. A good indicator of success in the past has been the level of one’s intelligence. It was assumed that the relationship between one’s IQ and one’s success would be positively correlated. In other words, “smarter” individuals were bound to triumph over those less intelligent. EQ or Emotional Quotient is a measure of your ability to notice and then manage your interior and exterior perceptions of your feelings and then control your reactions. Your mood will always control your ability to resolve problems making this an important skill to develop and use. Using a well-developed EQ will help you manage your emotions. 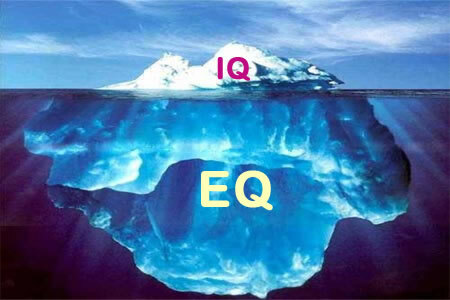 And developing a higher EQ can be done quite easily. Emotional Quotient (EQ) is a way to measure how a person recognizes emotions in him or her and others, and manages these emotional states to work better as a group or team. Emotional intelligence is measured using 5-major components. Two models of testing: Goleman model (see abow) and TEIQue. IQ or Intelligence Quotient is a measure of intelligence. A way to rate this for any individual is by taking an IQ test. An IQ test measures different types of abilities: verbal, memory, mathematical, spatial, and reasoning. This test has a preset standard based on a representative group of the population. The majority of people rank in at about 90-110. Generally, IQ tests actually test general intelligence. Many experts feel IQ tests are a measure of an individual’s problem solving ability and not an actual measure of general intelligence. 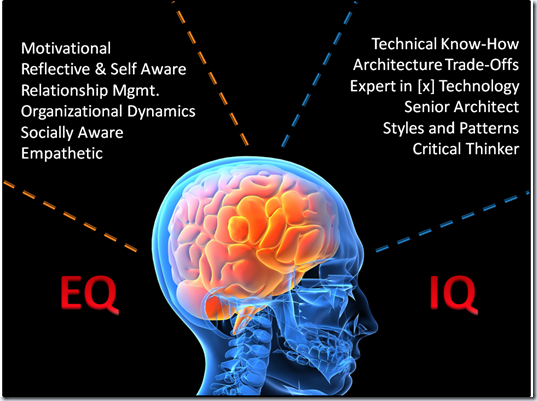 Intelligence Quotient (IQ) is a value that indicates a person’s ability to learn, understand, and apply information and skills in a meaningful way. The major difference between EQ and IQ is what part of a person’s mental abilities they measure: understanding emotion or understanding information. Well-known modern IQ tests include Raven’s Progressive Matrices, Wechsler Adult Intelligence Scale, Wechsler Intelligence Scale for Children, Stanford-Binet, Woodcock-Johnson Tests of Cognitive Abilities, and Kaufman Assessment Battery for Children. There is a great deal of disagreement about any potential link between these two quotients; it is not clear if one indicates or has an impact on the other. Emotional intelligence is often more difficult to measure than IQ, and the methods used are fairly different, so it’s not easy to compare them on equal terms. There are also many individuals with very high IQs who seem to be limited in terms of social skills and emotional recognition. Such examples suggest that they are different aspects of the human mind and should be considered separately. Do a self-evaluation. What are your weaknesses? Are you willing to accept that you’re not perfect and that you could work on some areas to make yourself a better person? Have the courage to look at yourself honestly – it can change your life. Examine how your actions will affect others – before you take those actions. If your decision will impact others, put yourself in their place. How will they feel if you do this? Would you want that experience? If you must take the action, how can you help others deal with the effects?